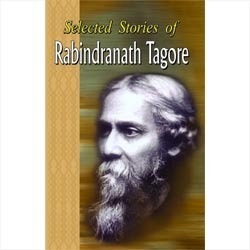 With our focused professional approach and well-developed manufacturing unit, we are engaged in offering premium quality "Selected Stories of Rabindranath Tagore". This is provided with the assistance of our highly qualified experts using sophisticated and advanced technologies. Apart from this, our offered book is of high quality and is acknowledged by our prestigious clients for its excellent printing quality, optimum binding, glossy look and unmatched quality. We make available our customers this options as per their variegated requirements in order to attain their maximum satisfaction. Prabhat publication almost all genres of literature from the last fifty years, a wide audience while providing optimal reading Hindi books currently in the country as the head of the publishing house and the best books published in 5000, has made its mark. Since its 1958 founding-era "good books at fair value 'principle is a policy institute. Given the excellent quality-policy institute of international standard 'moody' by the ISO 9001 : 2008 certified by the publisher in the world, the first time the Institute has been publishing a Hindi. Best quality for the last twenty years, the publishing industry's main association "Federation of Indian Publishers' row 'superiority in the publication' first prize awarded. After a survey in 60 cities in India market survey institution distinguished ICMR (Indian Council for Market Research) in the field of book publishing brand fame was selected for the STAR BRAND morning publication. Readers by providing low-cost books in their literary interest with a view to Srivriddhi morning Alpmoli paperbacks books published under the banner of popular and utilities. Books Private Limited in Ocean through Angrreji best books. Hindi readers in August 1995 to provide elegant text Pt distinguished literati. Vidya Niwas Mishra literary editorship of the monthly magazine started nectar, which is now a well-known name in the literary world has become. Prabhat publication , An ISO 9001: 2008 certified company, was the leading publishing houses in India ONE OF. He needs a A Glorious History of Fifty Years of Negative Negative Negative Literature Publishing Quality Books s Almost all streams, Viz. Children's books, fiction, science, quiz, Humnitis, Personality Development, Health, Dikshnris, Ankyklopedias, Attkk They were for the last fifteen years in the Bean needs a winning Kntinysli Aksolades Book for Publication Excellence. Genk Judge Singh, Saina Nehwal, VS Naipaul and Mohda Nobel Lorents Suc Sur. Yunus; President of America, Barack Obama, the American Foreign Secretary Mrsk Hillary Clinton, former President Tablet him, Bill Clinton; Excluded former Prime Minister of India, Atal Bihari Vajpayee; former Deputy Prime Minister OF INDIA, by Advani and Sardar Vallabhbhai Patel; Suc Politisians Us Nitish Kumar, Mamata Banerjee, Minister Etk . ; HH the Dalai Lama and social activist noted in Renoned industrialist Tata livid. Other Contemporary Writers Include Wargiz Kurien, 'Father of the White Revolution in India; former Director General of Ksir, RA Mashelkar; Arun Shourie noted in Journlist; Sudha Murthy social activist; Famous authors Chetan Bhagat, lamp Chopdaa, Robin Sharma, John Wood; Dr. former Parliamentron Singhvi column; Business tycoon Dr. Suc Us Vijaypat Singnia, Kisore Biyani, Motilal Oswal and Many More. Ocean Books Pvt. Ltd., Our English Division, the ALSO An ISO 9001: 2008 Certified Company's Various Topics Excluded general interest publishing books. Pioneer Children's Books Publishers OF ONE OF morning publication in Hindi. I also nectar-a reputed leading Hindi Literature Publishing Literary Monthly scenes Ogg, 1995.